Tapas Club is finally here in the heart of Kuala Lumpur, making their first foray into Malaysia’s food scene with its new establishment at Dining Loft, Level 7 of Pavilion KL. Staying true to its roots, Tapas Club aims to bring both quality and authenticity to its extensive array of Spanish fare at wallet-friendly prices. Read on to find out our must-try dishes. 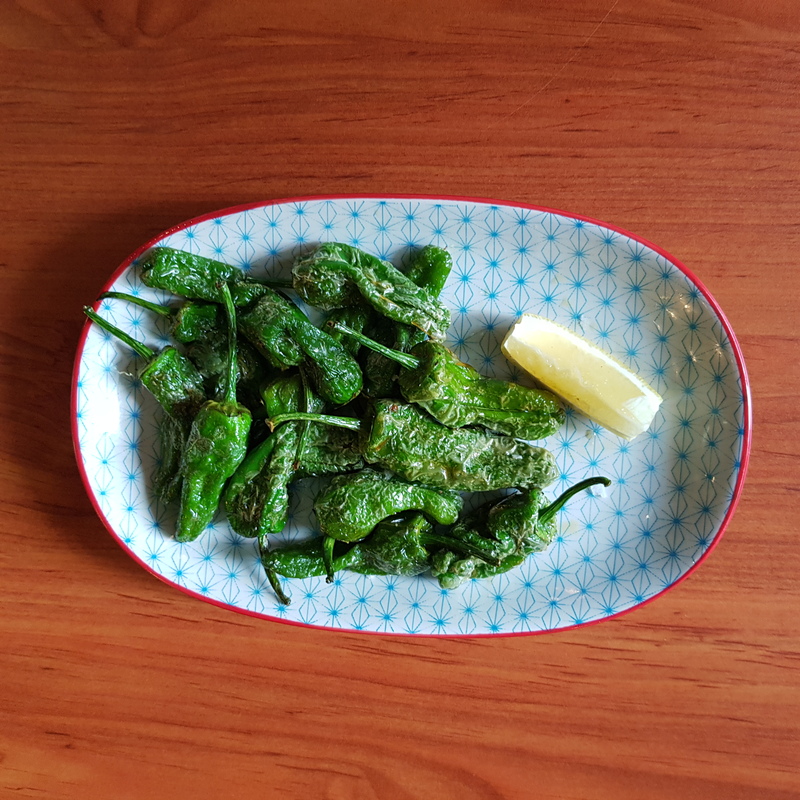 Our meal begins with a humble yet flavour-packed appetiser - Pimientos Del Padrón (Padron peppers). The green peppers are specially flown in from Spain are blistered and simply seasoned with olive oil and sea salt. Add a squeeze of lemon for zing. Four succulent calamaris are stuffed plump with chorizo sausage and grilled to create a delicious char on the skin. 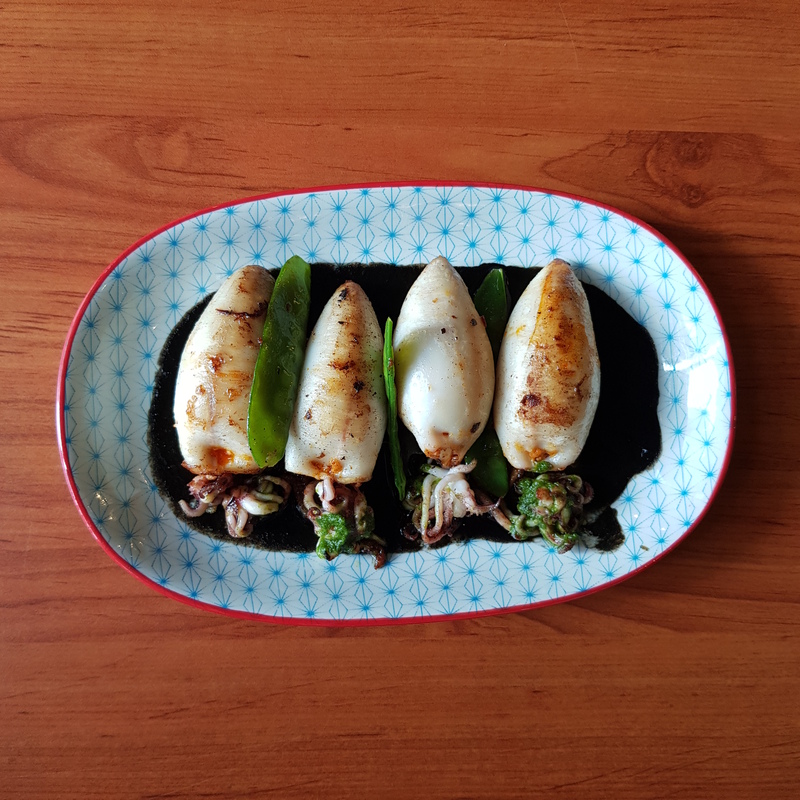 Baste the calamaris with the accompanying savoury squid ink sauce for an intense flavour. 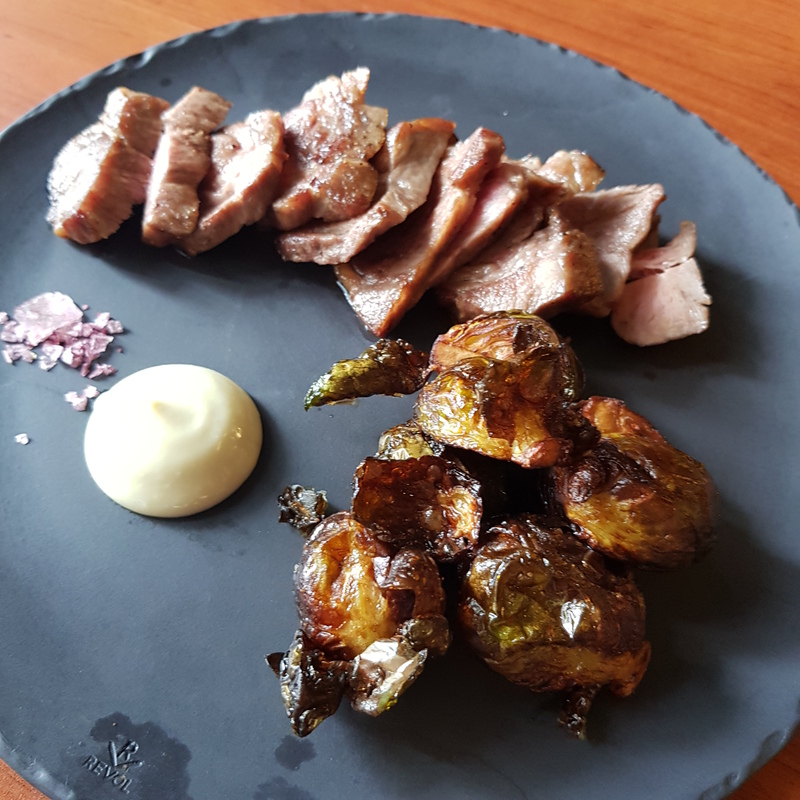 Indulge in porcine pleasure with a plate of Cedro Iberico and a side of your choice. The meat is crispy on the outside while the flesh remains moist and tender. While the pork is lightly seasoned to bring out the subtle sweetness of the meat, you may sprinkle it with Himalayan sea salt for extra flavour. We recommend their roasted brussel sprouts to complete the dish. If you are looking for something distinctly Spanish, try their squid ink noodle paella, a substantial serving for two. 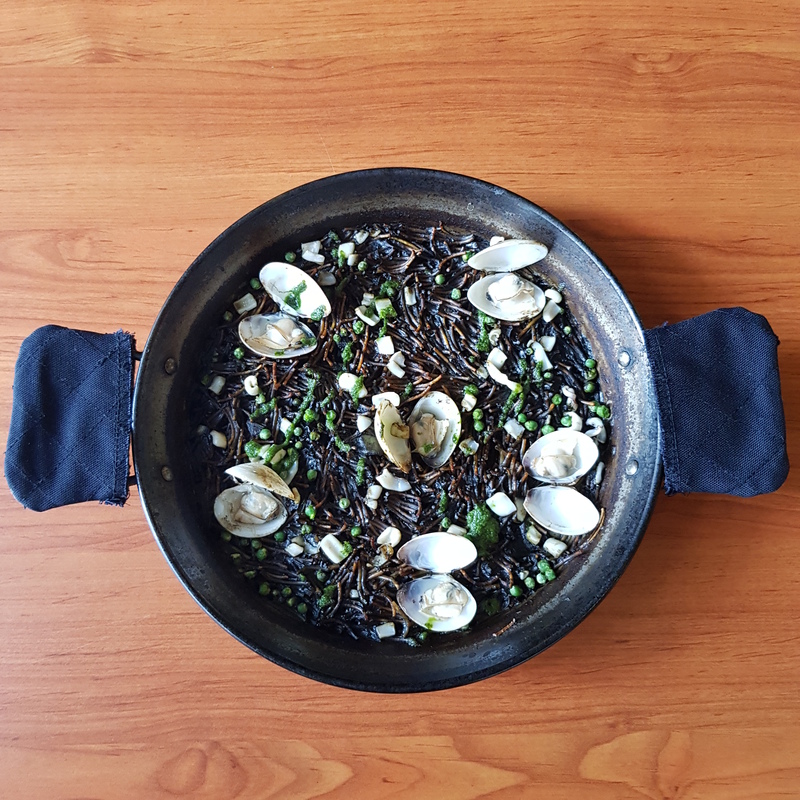 The exquisitely tasty fideua is prepared with vermicelli noodles in place of rice, making it an interesting variation on the traditional paella further intensified with squid ink. It is topped with a generous serving of chopped squid and fresh clams for extra meatiness and depth. 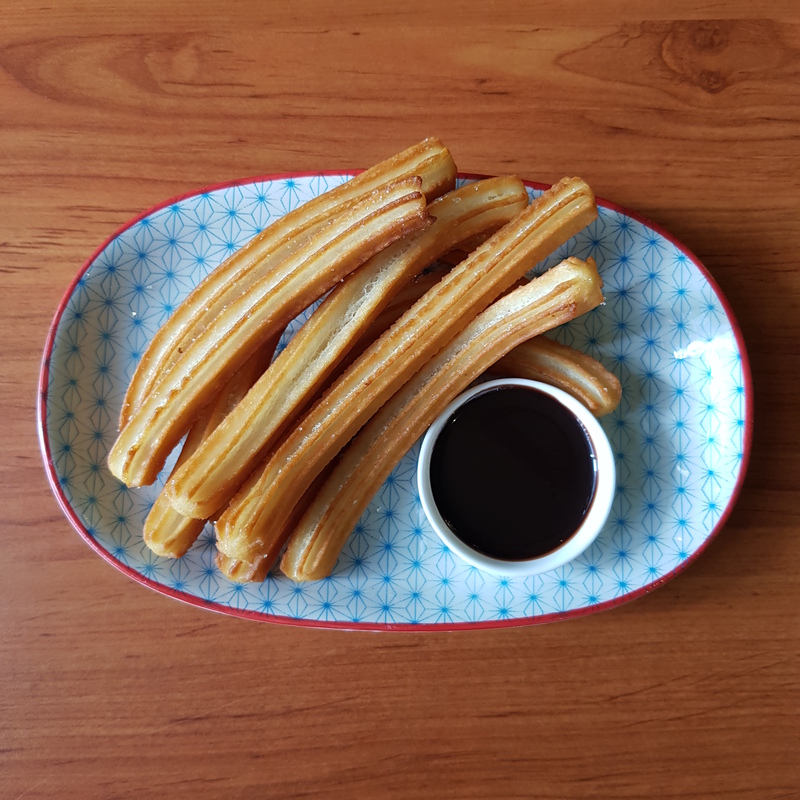 For those with a sweet tooth, get a plate of churros with hot chocolate dip. The fried dough sticks are crunchy on the outside and chewy on the inside. It’s good on its own or dipped into chocolate for a decadent indulgence. 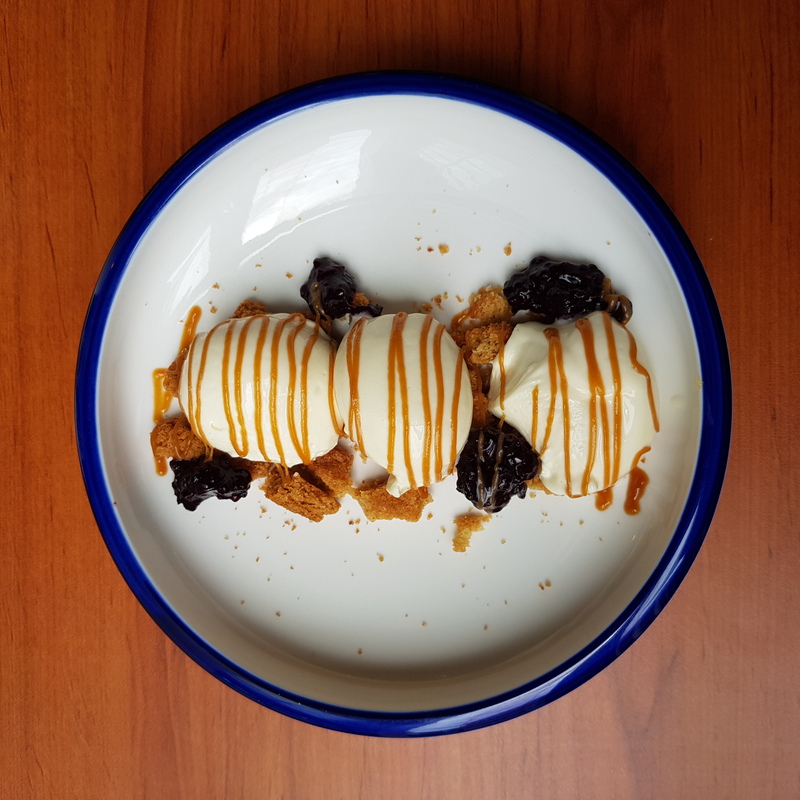 We end with Tapas Club’s crowd favourite – a deconstructed cheesecake that hits all the right notes with a balance of textures and flavours. The dessert comprises graham cracker crumbs, dollops of cheesecake cream and blueberry jam to make sure that you can have a little bit of everything in one spoonful. If there are still some churros to spare, dip them into the cheesecake cream for a creative twist on the two elements. 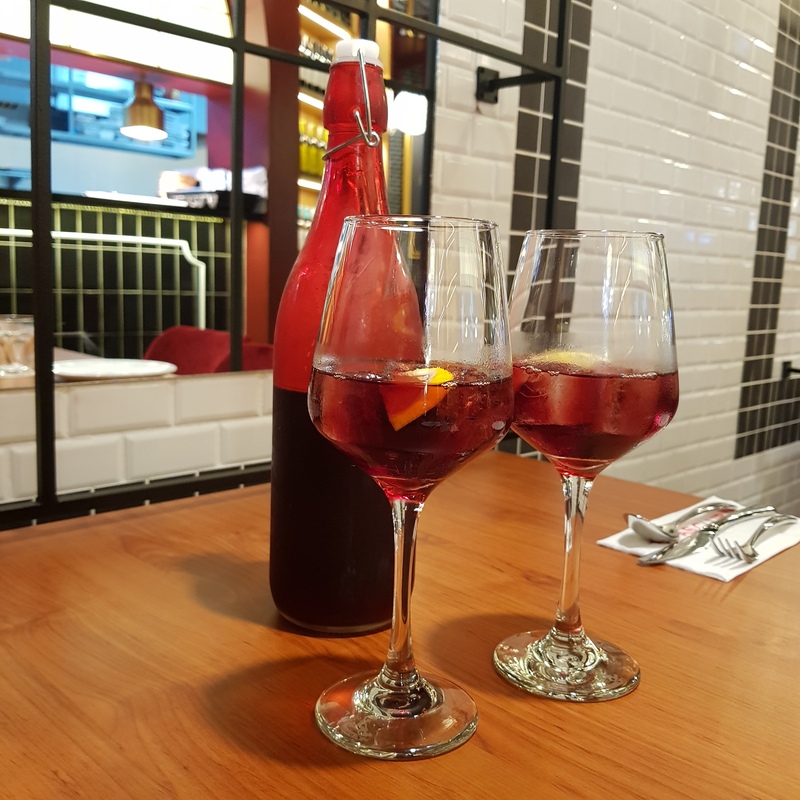 Of course, no Spanish dinner is complete without a glass of sangria to complement all your main courses and desserts. Specially flown in from Spain, the red wine sangria is infused with orange, apple and cinnamon to provide a fruity note and smooth finish. In addition to wine, why not try a Spanish beer. 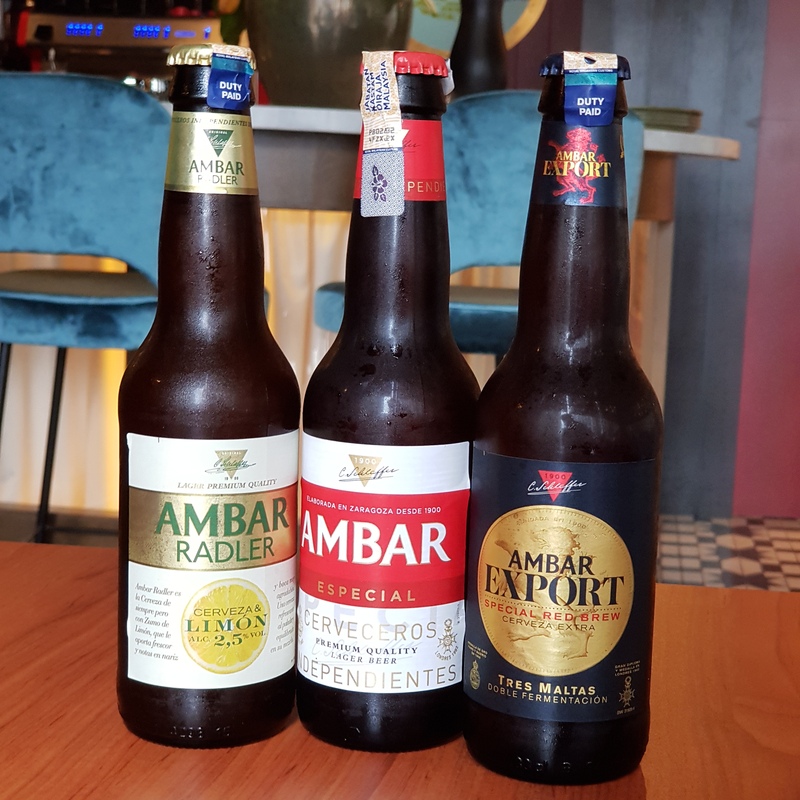 Brewed inthe oldest brewery in Spain, award-winning Ambar Beer comes in three flavours – Radler, Especial and Export. If you are new to Spanish, try Radler, a refreshing beverage infused with lemon juice in a perfect ratio. Otherwise, opt for Especial and Export that come with higher alcohol percentages of 5.2% and 7.0% respectively.